The Korea Fair Trade Commission (“KFTC”) has ramped up its regulatory enforcement beyond what was considered normal under past administrations. 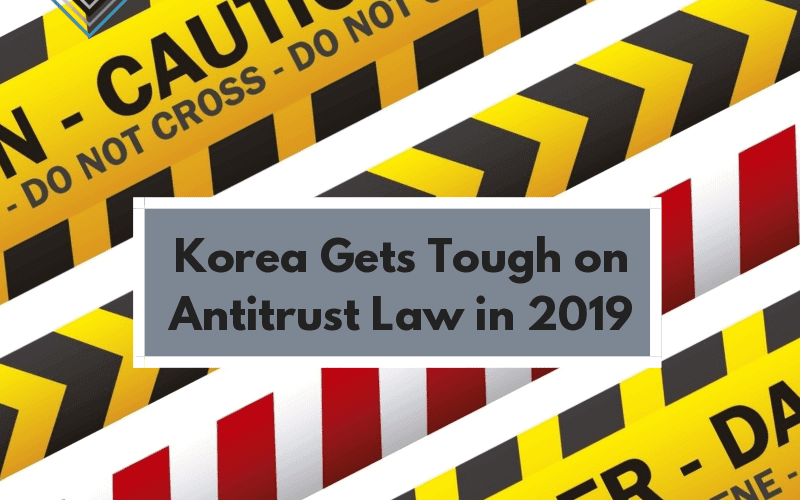 This enforcement philosophy permeates much of the legislative amendments being sought in the KFTC’s first major overhaul of the Monopoly Regulation and Fair Trade Act (“MRFTA”) – the basic antitrust framework in Korea. To strengthen the deterrence effect, the bill proposes to double the ceiling on administrative fines for most antitrust violations: for cartels, abuse of dominance and unfair trade practices, will go from 10% to 20%, 3% to 6%, and 2% to 4% of relevant turnover, respectively. The KFTC’s draft bill also proposes to abolish the KFTC’s exclusive right of referral of antitrust violations for investigation by the Prosecutors’ Office. This would enable the Prosecutors’ Office to independently investigate and prosecute antitrust violators, which it currently cannot do without the KFTC’s referral. It could substantially impact leniency applicants. The bill proposes to allow parties fearing antitrust injury to seek private injunctive relief directly from the courts (i.e. without the need to go to the KFTC first for a finding of an antitrust violation) to stop unfair trade practices that may cause significant harm. Class actions are currently not available to private litigants in Korea, except under very specifically limited circumstances under certain statutes. The proposed bill provides for class actions to be made available for multiple parties seeking antitrust damages. Currently, the Korean merger review process only considers the parties’ worldwide and domestic assets/turnover to determine whether a merger filing is necessary. This policy leaves a loophole for parties acquiring start-up companies that potentially have a significant potential upside but insufficient assets to trigger a merger filing. To close such loopholes, the draft bill proposes a new ‘transaction value’ threshold, so that mergers which do not meet current asset threshold may still require notification. Currently, information exchange is not illegal in Korea, unless accompanied by actual collusion. However, this could change under the proposed bill, especially if there is evidence of anti-competitive conduct. 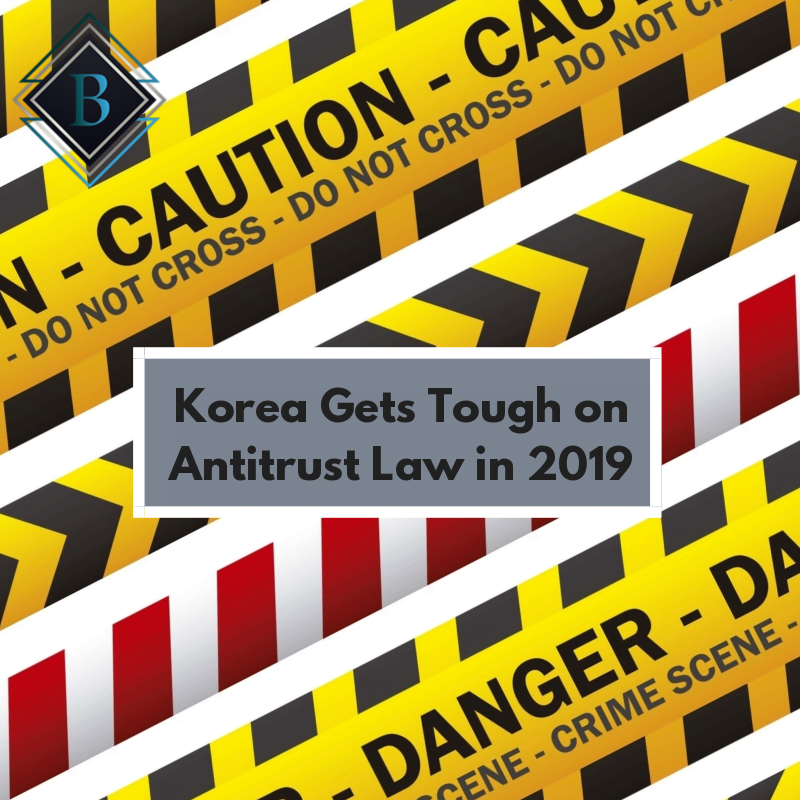 Recently, the National Assembly of Korea approved the KFTC’s proposed bill for punitive treble damages for cartel violations. The adoption of a punitive antitrust damages regime aims to strengthen the deterrence effects of anti-cartel enforcement. The KFTC also recently amended its merger review guidelines to address innovation and big data issues arising in mergers in innovative (i.e. R&D-intensive) industries. The guidelines now define ‘big data’ as “Information Assets” and provide guidance on issues such as how the KFTC will define the “Innovation Market”. The KFTC’s resolve to strengthen anti-cartel enforcement is clearly evident. Compliance programs must focus on such reforms to be relevant. Moreover, the proposed amendments contemplate introduction of class actions for private enforcement, while the punitive damages regime will take effect from September 2019. It is anticipated that the KFTC will focus on several major areas of enforcement and regulation for 2019: (1) abuse of superior trading position; (2) establishment of an adequate antitrust regulatory framework for emerging and innovative industries; and (3) consumer protection. In 2019, the KFTC will continue to reinforce its tough regulatory approach to eradicate long established abusive practices by a superior bargaining party. For example, the KFTC wants to prohibit contractors from making payments to subcontractors via promissory notes and seeks to force contractors to make such payments in cash. The KFTC also recognizes the importance of building a new regulatory framework to keep up with the new and constantly evolving industries in the 4th industrial revolution, such as block chain, Fin-tech, IoT, among others. In addition to the KFTC’s aforementioned efforts to close existing loopholes in merger filing requirements, the KFTC plans to crack down on abuse of dominance in the mobile telecommunications and pharmaceuticals markets. Finally, in order to promote consumer welfare and protection, the KFTC will strengthen its regulations on cartel conduct involving intermediate goods having a direct impact on consumers’ health and safety. In addition, the KFTC plans to amend legal requirements for standardized consumer contracts to reflect recent changes in consumer trends and correct unfair transaction terms. The proposed legal reforms and enforcement focus for 2019 reflects the KFTC’s continued efforts to adopt or keep up with the latest global enforcement trends in the antitrust space. Companies planning on doing business in Korea should be mindful of such antitrust issues. Be sure to contact me or Lee & Ko if questions should arise.